Seven days of Qigong & T’ai Chi practice led by Ken Ryan, Chief Instructor at Maine Coast Taijiquan. 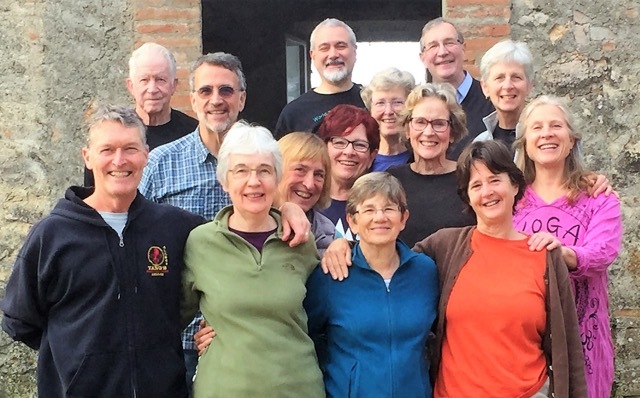 This retreat is a rare chance to experience a full week of three practice sessions per day that integrate Qigong and T’ai Chi from a variety of traditions, with particular emphasis on Chen Style and Wudang Style. The training is authentic. The atmosphere is relaxed, allowing participants to have a dedicated practice experience, or to pursue other interests, or some combination of both. The schedule will allow time to enjoy the spectacular Tuscan food, rest, schmooze, visit nearby hill towns, enjoy a day-trip to Siena and San Gimignano, explore some of the hidden gems of Tuscany, and enjoy walks and activities at Spannocchia.